This is Abrasive Metering Valve part numbers 32206050 Clean-out plug, 35000040 Rubber QG Washer, 35000050 Urethane QG Washer, 43004500 stud 1/2", 44001780 Rubber washer donut, 62030005 Metering Valve top, 62030010 Metering Valve Base 1 1/4", 62030011 Metering Valve Base 1 1/2", 62030065 C-1 Hose Coupling, 74200011 Hex Nut, 32107070 Reducer Bushing, 69020020 Metering Valve Complete 1 1/4", 69020021 Metering Valve complete 1 1/2". 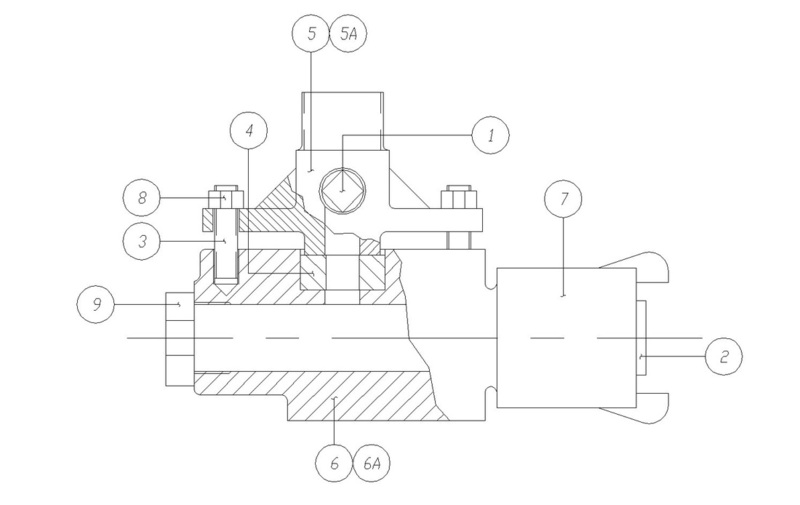 The abrasive metering valve is used to regulate the amount of grit going to the sandblast nozzle via the blast hose. Also known as a "grit valve", the metering valve uses pressure from the metering valve top on an internal rubber washer to regulate the flow. Tightening the hex nuts, compresses the rubber washer or donut which reduces the diameter of the opening, thus reducing the amount of abrasive going to the nozzle. The most common repair is replacement of the Rubber Washer which is used to regulate the amount of abrasive fed to the hose. The base of the metering valve also receives a lot of abuse as the grit enters the valve vertically, directed toward the base. Because of this, replacement of the Metering Valve Base is the second most common repair. SAFE metering valves are the heaviest with the thickest cast iron base, where it counts. Lower quality Metering Valves typically have thinner bases which wear out more quickly, increasing downtime and repair costs. Because of this, SAFE metering valves save money.